Awesome Tweets & Photos from Around the World! I LOVED Not in the Script! It made me sooo happy!! I can’t wait to read more of your books. You’re such a great writer! I should have recorded the sounds of swooning I made while reading NITS. A dolphin squeal is just one of them. Hahaha! 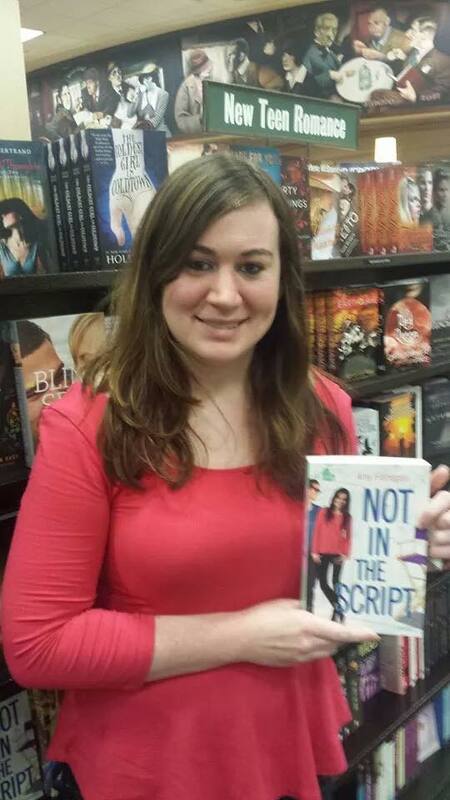 Just wanted to say I really enjoyed Not In The Script. Read it in two sittings/couldn’t put it down Thanks! 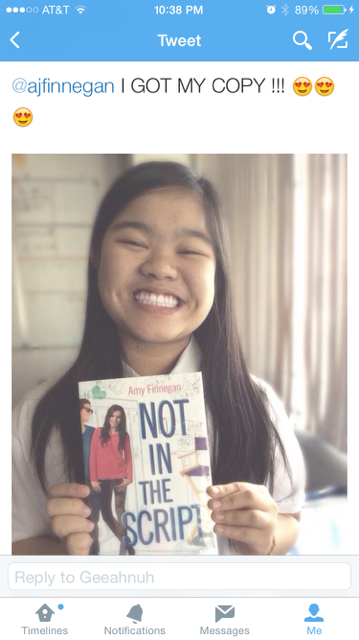 I couldn’t stop smiling while reading ‪@ajfinnegan‘s NOT IN THE SCRIPT. It’s so adorably fun! 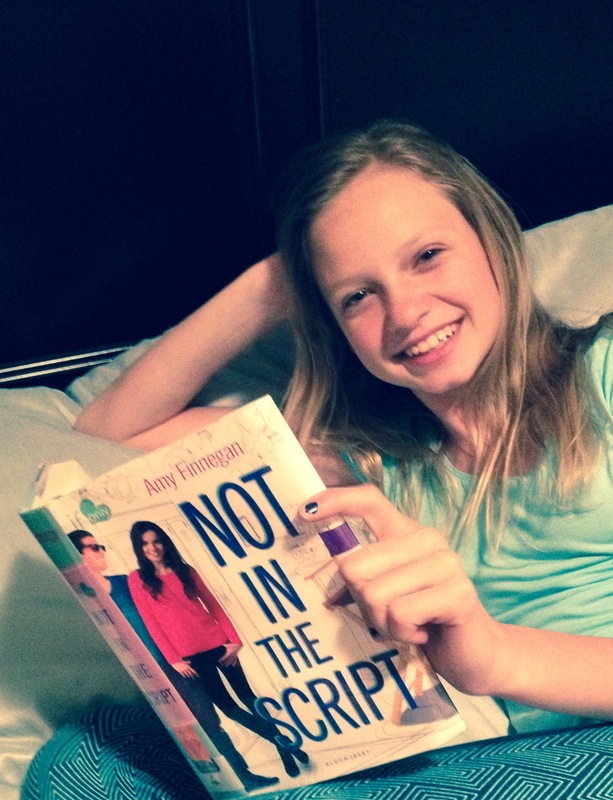 Read “Not In The Script” by ‪@ajfinnegan in a full day.. Loved this book!! I’ve seen so much about ‪#NotInTheScript by ‪@ajfinnegan on twitter and goodreads that now I just have to ‪#read it. 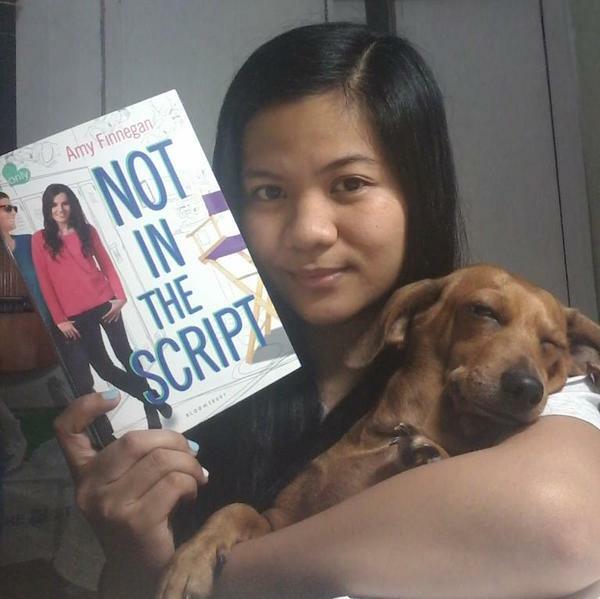 Just reread ‪#Notinthescript by ‪@ajfinnegan . It was even more amazing the 2nd time. Can’t wait for more books by this new & talented author! A fantastic book that made me long for a sequel just to stay with the characters longer. Love this book and am still obsessed with it! 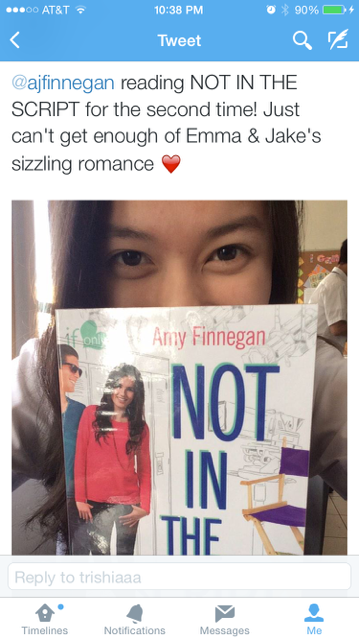 Definitely recommend Not In The Script by ‪@ajfinnegan! 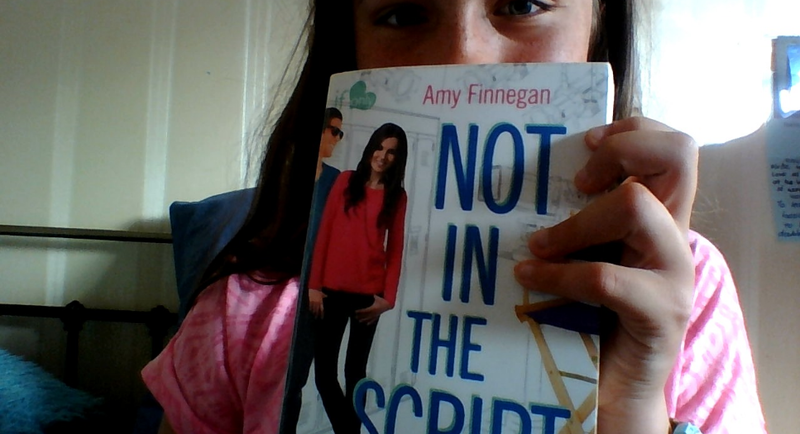 Not In The Script by @ajfinnegan was a witty slowburn romance with a side of can’t keep this grin off my face! 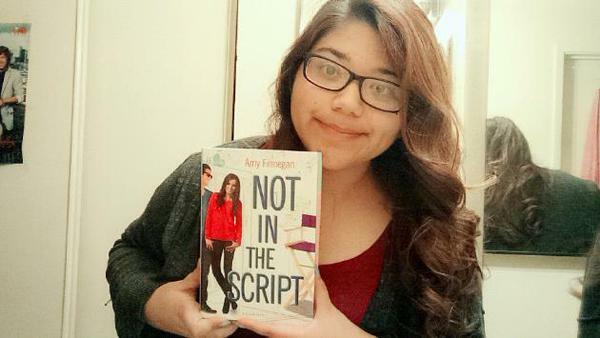 Not in the Script by Amy Finnegan is a fun YA novel. Definitley *5 Stars* from me. Loved it! Mom: I thought you were going to bed? Me: I had to finish my book first. ‪#amreading ‪@NotInTheScript by ‪@ajfinnegan and loving it! 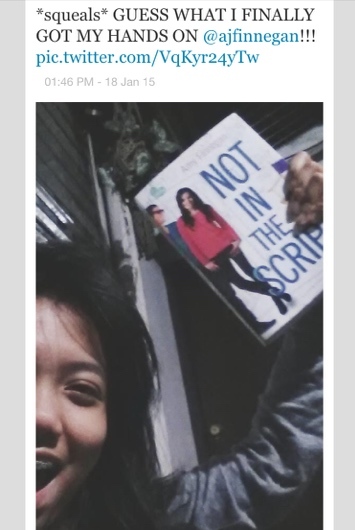 I JUST FINISHED READING NOT IN THE SCRIPT IT’S SO GOOD I SHOULD BE SLEEPING ALREADY BUT!?!!?!?!?! <3<3 I TRULY loved your book. So, so much. I’ve read it twice already! I can’t wait to hear more about your next work! Finished my 1st book that got me out of my reading slump, Not in the Script, and I need more! ‪@ajfinnegan do you have plans for a sequel? PLEASE WRITE A BOOK 2 FOR NOT IN THE SCRIPT PLEAASSSEEE!!!!!! I NEED TO KNOW MORE! The only sad thing about your book is the part where I get to the acknowledgements. I NEED MORE JEMMA, ‪@ajfinnegan!!!! I absolutely adored ‪@ajfinnegan‘s NOT IN THE SCRIPT! Realistic, slow-building romance, great characters, and cool film industry tidbits. 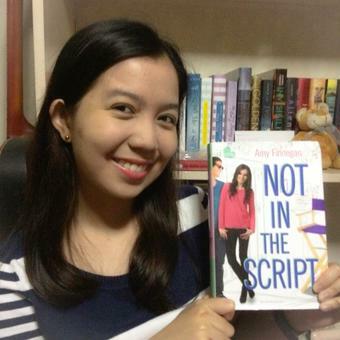 If you’re currently reading Not in The Script by ‪@ajfinnegan , then it’s *virtually* official…YOU ARE MY FRIEND! I love it so so much!!! Chomping at the bit waiting for your book to arrive. As a kid who grew up on set, I LOVE books like this! Can’t wait to read it! Okay, I’ll be serious now, which basically means that I’ll say the same thing, but try to use grown-up words this time. Now that I think about it, though, I already wrote a love letter to each and every one of you. You can read it here. Book Bloggers have asked me about every possible question regarding my favorite books, the research I did for NOT IN THE SCRIPT, what inspired the story, which celebrities come closest to looking like my characters, if I have a playlist, my writing process, my celebrity crush, what I’m working on next, etc., so here are a handful of the interviews and guest posts that answer my most frequently asked questions! Enjoy!